First Choice Debt Relief is a credit card debt settlement company located in Orange, California. Since 2008, the company has offered interested consumers free consultations, financial education, and multiple debt management programs with no upfront fees. Administrative fees are based on the client’s state of residency and the total amount of owed debt. First Debt Relief offers consumers a standard money-back guarantee and features numerous customer testimonials and proof of past successful negotiations on its corporate website. First Choice Debt Relief is accredited by the American Fair Credit Council and the International Association of Professional Debt Arbitrators. The debt relief company is fully compliant with the Federal Trade Commission. There are numerous testimonials from satisfied customers on the corporate website. Consumers report struggling with debt for years until choosing First Choice Debt Relief and report being happy with the customer service they received. Also provided are copies of past successful debt negotiation letters. Many of these statements show that First Choice was able to reduce customers’ debts by approximately half of the original balance. First Choice Debt Relief offers a full money-back guarantee like many other debt settlement companies in the industry. If the paid amount to creditors exceeds the original balance, the company will refund the difference to the customer. While the company does not charge upfront fees, it does not clearly state what its administrative charges are on the corporate website. Charges depend on the unique financial situation of the client, including the overall ability to pay monthly, the total amount owed to a creditor, and the state in which the individual resides. The company’s website states that the money-back guarantee does not apply to consumers enrolled in an attorney based debt settlement program. Neither does the guarantee ensure that balances will be reduced either by a specific balance or timeline. First Choice Debt Relief does not clearly disclose what states the company offers debt management solutions to. However, in an email to us, the company said they operate in 14 states: AL, AZ, AR, CA, FL, LA, MA, MI, ME, NM, NY, NC, OK, VA.
First Choice Debt Relief helps consumers relieve credit card debt with no upfront fees. Free consultations and financial education are provided as well, along with a full money-back guarantee. The company has numerous accreditations and customer testimonials regarding its excellent customer service and there have been no filed complaints. However, this debt settlement company does not offer any pricing information and programs are limited in some states. The refund policy from First Choice Debt Relief does not apply to those enrolled in attorney based services. 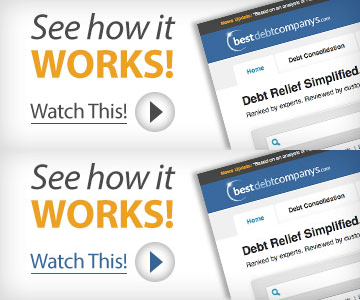 Click Here for Our Top-Rated Debt Settlement Companies. First Choice Debt Relief offers financial education and credit card debt relief services with no upfront fees. The company helps consumers resolve debt through creditor negotiation for lowered debt totals and monthly debt repayments. Any charged administrative fees depend mainly on individual circumstances and the state of residency of the consumer. A large portion of debt settlement letters posted on the company’s website shows that First Choice Debt Relief reduced original balances by half through creditor negotiation. By submitting this form, I consent to receive calls using automated technology from First Choice Debt Relief at the number provided and understand this is not a condition of purchase.